Click the link below to sign up through MindBody reservations! 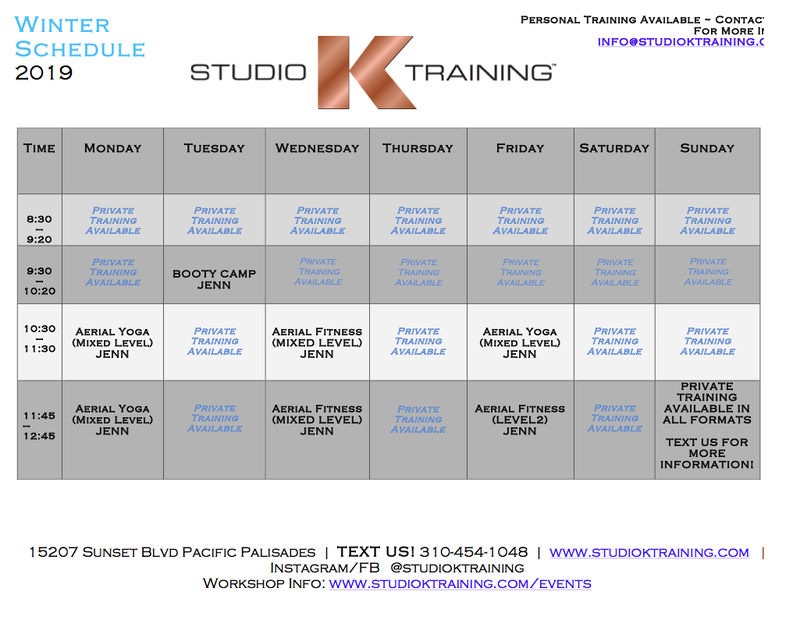 *Please Note* You must have or create a Mindbody account to reserve a spot in class. Spaces are limited, rsvp to confirm your small group reservation! 12 Hr Cancelation Policy! ADULTS-All Levels of fitness welcome for small group classes or book a private to try it out! What do I do at Studio K? 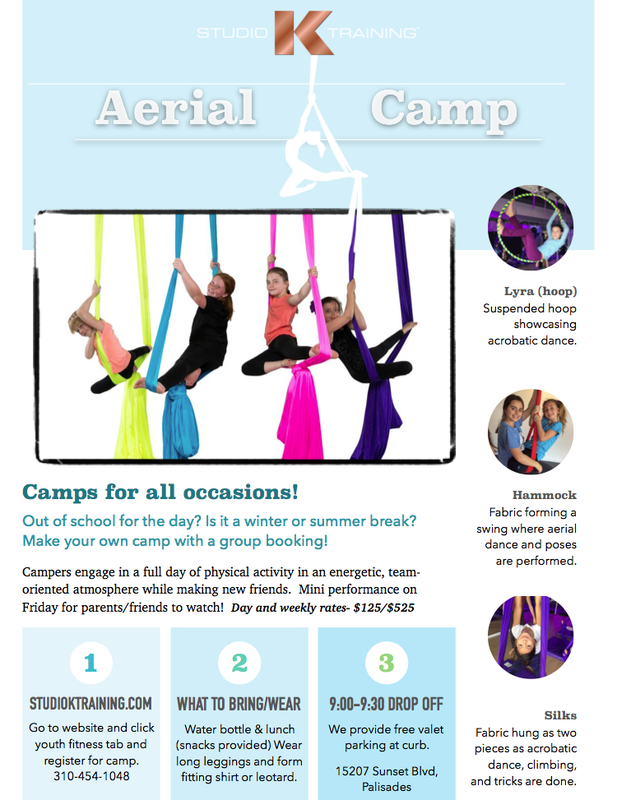 Studio K Training specializes in Adult Aerial Fitness & Yoga. Jennifer Green/Founder is a certified trainer teaching small group training and private coaching. Getting you moving, flexible, and strong in all directions using various suspension tools such as aerial hammocks, suspension straps, barre, and various functional training tools is her method to a happier, healthier, and functionaly fit person...while having "FUN"! AntiGravity® Aerial Fitness is revolutionary in relieving compressed joints and aligning the body from head to toe. 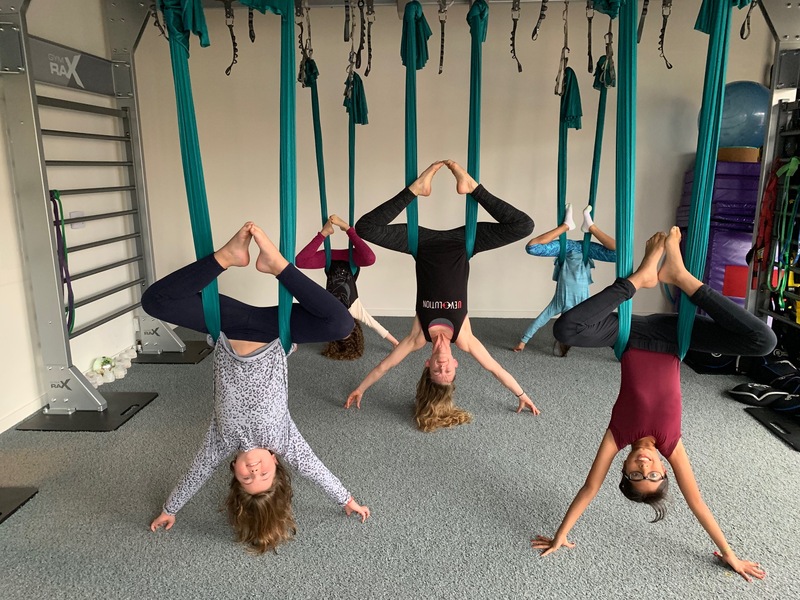 The AntiGravity® Hammock acts as a soft trapeze and as a support while you master simple inversions and finally progress to more advanced poses. Increase your kinesthetic awareness for better balance, agility, build core strength, elongate your muscles and get a low or high-impact cardiovascular workout while suspended. The AntiGravity Hammock is suitable for all shapes and sizes.